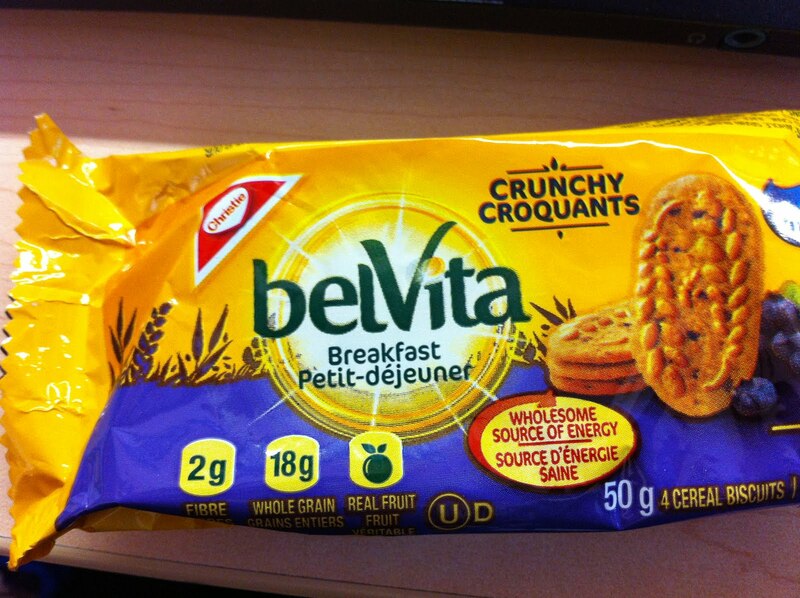 Weighty Matters: Badvertising: Belvita Breakfast Cookies Are Filled with "Sustained Energy"
Badvertising: Belvita Breakfast Cookies Are Filled with "Sustained Energy"
Thanks to Alison Thomas for sending these my way. 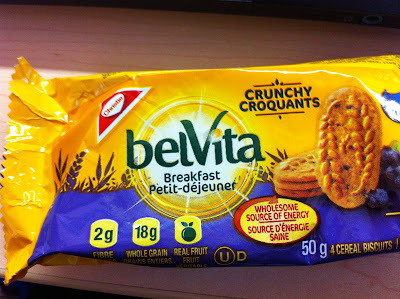 They're Belivta's new "breakfast biscuits" and they're being marketed as a great accompaniment to breakfast as they apparently provide, "sustained energy". If you're a regular reader here I'm guessing you'll know what "sustained energy" is usually a euphemism for. Sugar. Eat a 4 pack and you'll be packing in just over 3 teaspoons of "energy" with a smattering of fibre and protein. Sugar wise it's the same amount you'd get if you ate a 4 pack of Oreos. And of course you'll be buying into the notion that health and nutrition short cuts exist. "Belivita is perfect for your on the go lifestyle because it's convenient and nutritious."